Who Do we Trust For Our Fashion Tech and Industry News! That their PR release screamed “the world’s first shoppable Video” is understandable Social PR is about SCREAMING! Well at least so it seems. That almost every Tech and fashion Blog posted it without questioning it is cause for concerns in fact Racked was the only site that went without the hype! www.Klickable.Tv have been around since 2008 (we used them in 2009 for the video below and I recall seeing a rap group using them! As I recall Karmaloop has used them so “shoppable” videos are not new. But what about shoppable Music videos! I recall a couple years ago a rapper using www.klickable.tv to sell items from within his video. The First Video above is spoken word hosted on www.bkfff.com as part of our fashion film platform exploration, not quite Music video so technically but we explore making media shoppable! It’s part of our Brooklyn Fashion Week research for our new www.Brooklynfashionfilmfestival.com our problem is not the technology… but the supply chain and FIT! Like most new technology “shoppable” seems to be marketing tools; important but then again, I think I should be able to point my mobile phone to any screen and shop… I’m just saying! The goal is not to be the first but to be actually usable! When I read the Fashion Press I want solid ideas and discussion! So how usable is a fashion video do the Items on sale suit the videos target consumer. Usability is more than the ability to “do a task! And selling is more than showing an item! It’s the huge hole that the the fashion sector is not plugging. Try the various shoppable video on this page and feel free to leave your comments! Our consumers have not been “enthusiastic”, the fact is this is NOT how they shop … It’s cute and needed, but after the novelty wears off what really sells! The sale function should be as easy to open and close as the Google ads in you tube videos! They should not detract from the video! In fact I like the Klikable kart functionality… but after four years Klickable has not adopted html5- it’s not accessible on a mobile! It’s TOUGH, not intuitive! Not worth the time especially in an independent design setting where inventory turnaround in terms of design is fast and new styles need to be uploaded often! 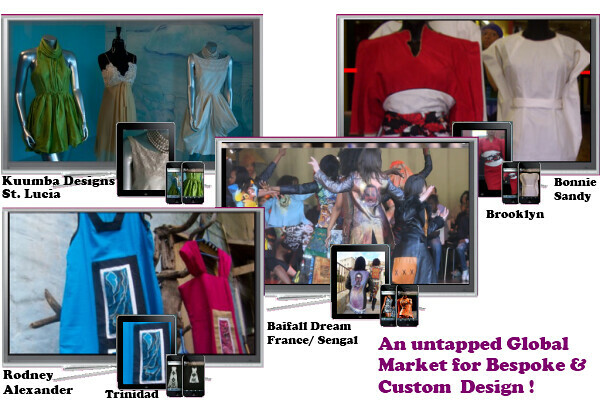 I stand on the left of the Fashion Tech community… I actually have a history of making and selling fashion. I’m not looking for Hype but tools that make my task easier! As i recall what sold in my mom’s dresse shop … things really have not changed that much! Shoppable media… well really it’s media that is interactive – The “shoppable” comes when the interactivity features are used to “facilitate sales ! But why do people shop and how and when do they buy! So what makes for shoppable… well a good script helps and where voice is used some enthusiasm and authenticity. The landing page is key; so too is product details! Interactivity goes beyond “selling” … It should be noted that a major part of sales process is service and interactivity BEFORE the actual sale! If we presented great images and visuals in a Boutique setting and simply sat back waiting for the items to “sell Itself” we’d be out of business. Sometimes “shoppable” simply means starting the sales conversation and not just in fashion try real estate, or any custom service… The goal is to rethink how you execute!! VOTE FOR MY TALK on FASHION TECH from a designers point of view at Internet Week NY..
Posted in Latest and tagged Boutique Solutions, Industry News, Latest, Tech Evangelism.